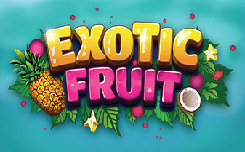 Exotic fruit has five drums and 15 lines for forming combinations. 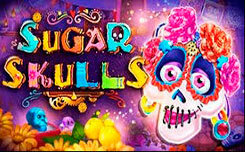 On the screen of the game you will meet girls, various exotic fruits: coconuts, pomegranates and others. Standard Wild (a girl with a coconut) is located on 2, 3 and 4 drums. It is able to replace other symbols to form good combinations. Mystery Wild Multiplier (x5 or x10) is another wild, falling out in the third column, which also replaces other pictures, while increasing the winnings by 5 or 10 times. Scatter is paid regardless of the location on the screen. Three, four or five scatters begin to freeze their backs. Payouts on combinations are much more often formed than in a regular game. Good graphics, quiet music, a variety of game options, combinations that are formed on both sides of the screen, all this makes the slot very interesting.